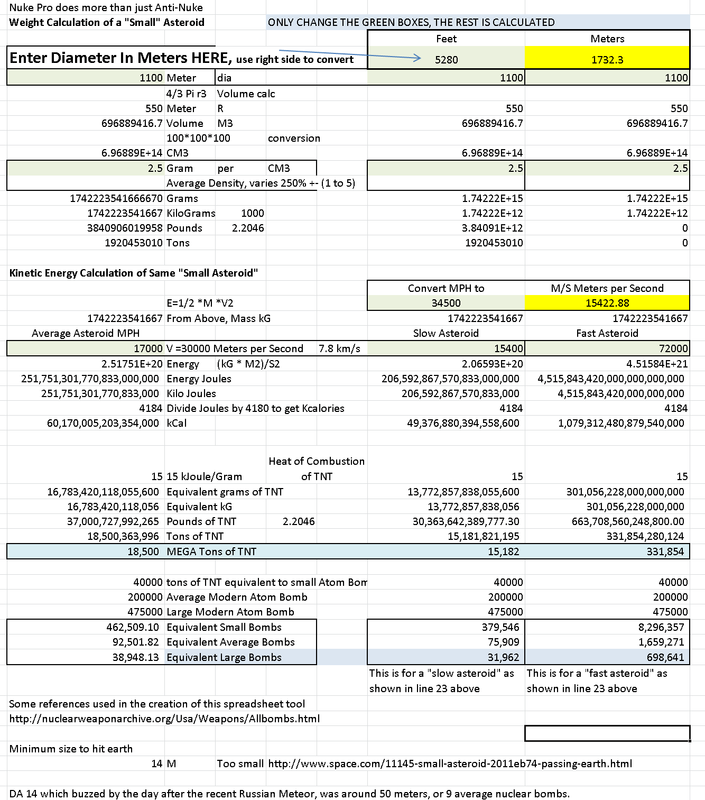 stock's proprietary but free Asteroid Calculator, Download in Excel format here. This calculator generates results for Asteroid energy in Joules, based on diameter, speed, density. This energy is then converted into something we can wrap our heads around, equivalent nuclear bombs. The Jan 26 2015 Asteroid is close, large, and equivalent to 6828 large Nuclear Bombs. The most dangerous upcoming asteroids data looks like this, it is odd there is such a rash of near earth dangerous asteroids. Well this was postulated. Note the column on Equivalent Nuclear Bombs. The closer the "miss distance" the more likely that something in the knowledge base, if wrong, could result in a hit. 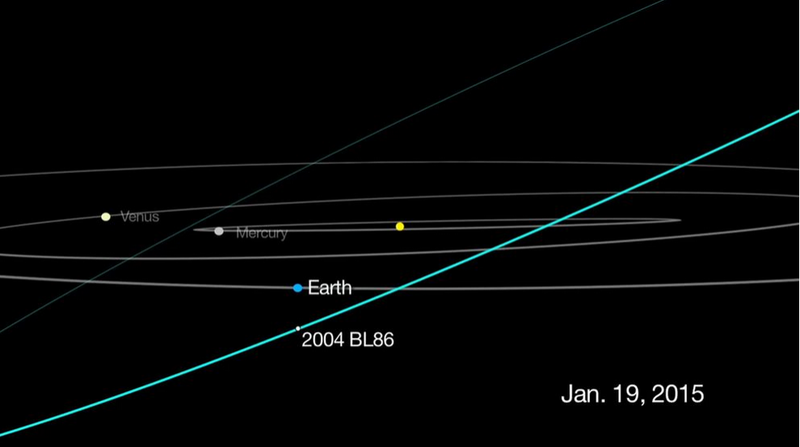 Also when there are lots of near earth objects, the chances of them hitting each other and taking a new trajectory is higher. Keep in mind, during the 2012 Russia Asteroid Event....they completely missed this Asteroid. It wasn't discovered until it blew up with multiple nuclear bomb force. A NEO hitting Earth would need to be about 100 feet (30 meters) or larger to cause significant devastation in populated areas. Almost 30 percent of the 460-foot-sized NEOs have been found, but less than 1 percent of the 100-foot-sized NEOs have been detected. The Asteroid Calculator has this to say about 100 foot asteroids....it matter a lot if they are slow or fast. So a "small" asteroid" could be equivalent to 19 large nuclear bombs. The odds are low, but playing with extinction level events should be something we are concerned with. Picture if Chicago and Cook Nuclear were wiped out or heavily damaged. How would that affect your situation and your preparations? In winter, any type of power outage can quickly become an serious emergency. Your gas heater will not work without power. If you abandon your house, all your pipes will freeze for a massive economic loss. The Asteroid Calculator looks like this: Download it using the link above. Ruh Roh---seems like you cant even trust the moon anymore, is this the explanation to Planet X? Thanks for paying attention, I have corrected it and will post shortly.